and here is my DT entry. I've made yet another 2nd birthday card (there's a LOT this time of year!!) and I've used this fab image that was provided by this week's sponsor: Sassy Cheryl's Stamps and is called 'Quiet Inspiration. She's so cute isn't she! This week's sketch is sponsored by Sassy Cheryl's Stamps and there is a prize on offer so make sure you head on over to Sketch Saturday and join in to be in with a chance of winning! Oh I love your card... it's so cute and your colouring is brilliant! Also like the papers, especially the blue striped one looks like water LOL. 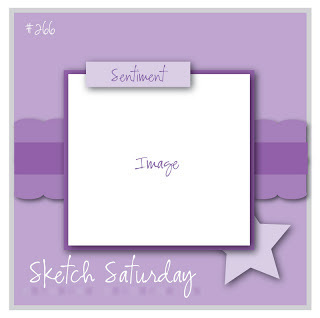 Love your color choices here, Niki and how you used the rhinestones in the sketch. Such a cute card for a little girl's birthday. Love the colours you used as well.